Halloween Season Pass Sale now on! – Zombies, Run! Halloween Season Pass Sale now on! The Halloween celebrations don’t end with new free missions: we’re also slashing the price of Season Passes and Season One Race Missions. 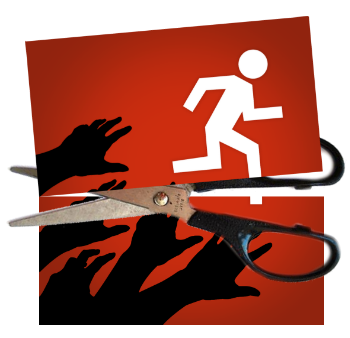 This is the perfect time to jump in and get the most out of Zombies, Run! The Season Pass Plus gives you access to 60 additional missions — over 30 hours of extra running time! At only $3.99, that’s just shy of $0.07 per mission. We could try comparing that to a cup of coffee or a movie, but there’s simply nothing on this planet that is a better deal than that! Meanwhile, the Race Missions, which are now $0.99, require you to run set distances. Two sets of 5km, 10km and 20km missions fill out some of the Season One backstory and give you a first glimpse at life in New Canton. The 20km missions in particular are like taking part in an epic, movie-length episode! You can buy Season Passes and Race Missions directly from the Store tab in the app — they’ll be on sale until Tuesday 5th November! Next Post Third and final Halloween mission now available!